In the region of the image where the lungs are projected, there is far less water density material to absorb and scatter the X-rays than there is in the mediastinum and lateral chest wall. For this reason, the lung regions need less X-ray exposure than the mediastinum to produce an image of appropriate optical density (for an analog system) or appropriate signal-to-noise (for a digital system). Ideally, the maximum contrast between the vessels, interstitium, and the air in the lungs is desired. Current analog and digital images must compromise on this because of the differences in the thickness and absorbing characteristics of different parts of the chest. In general, because there is less air and more water and calcium absorption in the lateral and apical portions of the lung, the region projected behind the heart and in the lung area projected behind the diaphragm, these areas require more exposure. Unfortunately, the exposure level necessary for these regions to have an ideal exposure is excessive for the lungs and would make them very dark, sufficient to obscure disease. With digital chest images, different settings can be used to adjust the density range of the image, allowing one to gain optimum settings for each of these regions, but at a cost of the time required to make these separate adjustments. The clavicles and the upper ribs (which are more closely spaced than the lower ribs) overlie the lung apices. The presence of these bony structures can obscure underlying lung disease. In addition, the apical lung is relatively small, so that processes are more likely to reach a pleural surface. When a process reaches a pleural surface, it tends to extend along the surface, thus losing its sharp edge, making it harder to identify. In the ideal image, one would want to decrease the degree to which the bony structures obscure the apical lung. There are two current and one future method that can help accomplish this. The first is to obtain the chest radiograph at the highest kilovolt peak possible since the absorption differences between calcium and water decrease with increasing kilovolts. With a higher kilovolt peak, any lung process becomes more equal in density to the bone projected over it. The second method is to use energy subtraction. With this method (described below), special image acquisition and image processing can form an image in which the bone is largely subtracted away. Special equipment and image processing are necessary for this technique. Third, experimentally, several groups are developing temporal subtraction chest radiography. If one has two chest radiographs that are similar in their positioning, it is possible to process them so that they are nearly superimposed. Once superimposed, the computer can subtract one image from the other. 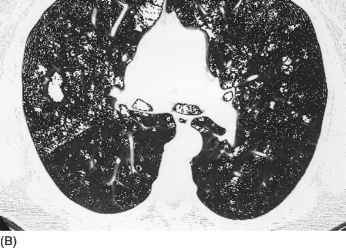 The bony structures are unlikely to change, while the lung can develop pneumonias, cancers, and so on. Thus, the subtraction image provides a potentially better view for the detection of change in the apical lung. This technique is demonstrated below. Because of the generally ovoid shape of the lungs, there is less lung and there are more chest wall structures near the edges of the chest. This increase in soft tissue and bony structures results in the lungs appearing more opaque (whiter) peripherally than centrally. This factor, combined with the shadows from female or male breast tissue, makes it harder to show lung detail with maximum contrast. If one chooses maximum contrast centrally, the lung periphery may be underexposed. Equalizing these lung densities across the chest should enhance the ability to use higher contrast imaging of the lungs. Figure 1 (a and b) Improved detection of retrocardiac pneumonia using image processing. A small area of pneumonia behind the heart can be seen on both images, but is more conspicuous on the image that has been processed to be darker (b). the ribs projected through the heart. If the ribs cannot be seen, the image is underexposed and the failure to see normal lung vessels is not a sign of disease (Fig. 3). The same rule applies for the assessment of mediastinal tubes. If the spine can be seen, the exposure should be adequate for the detection of tubes and lines. Be aware, however, that some noise-suppression algorithms can obscure tubes while maintaining some degree of visibility of larger structures, such as the spine. Figure 2 (a and b) Improved visualization of retrocardiac tubes and lines by using optical density equalization algorithm. The tubes and lines are better visualized on image b, in which optical density equalization has been applied. Figure 3 Effect of exposure factors on assessment of the retrocardiac region. (a) Retrocardiac atelectasis is visible; the ribs can be seen. (b) Retrocardiac area cannot be evaluated; the ribs cannot be seen. Underexposed film with Fuji ''S'' of 8955 (the ''S'' number of a properly exposed chest radiograph is approximately 200-400). Due to underexposure, one cannot tell whether there is retrocardiac airspace disease or effusion. The system has, however, permitted overcorrection of the density of the lungs to be blacker than those of a properly exposed bedside chest radiograph.